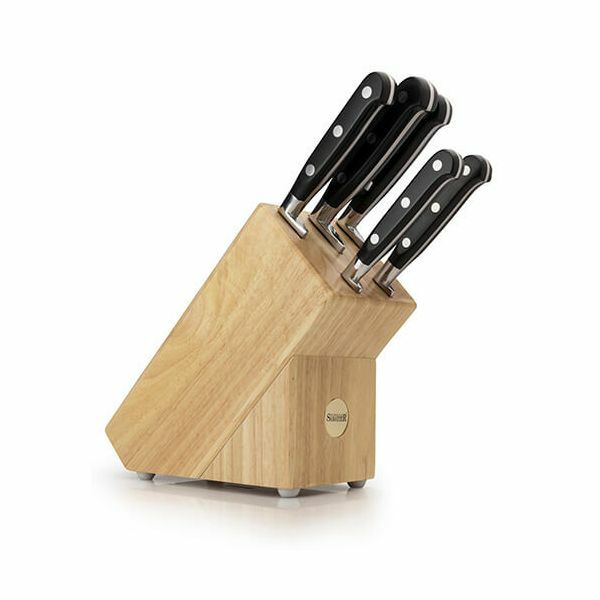 The Sabatier knife block set includes a carving knife, bread knife, chef's knife, all-purpose knife and a paring knife. 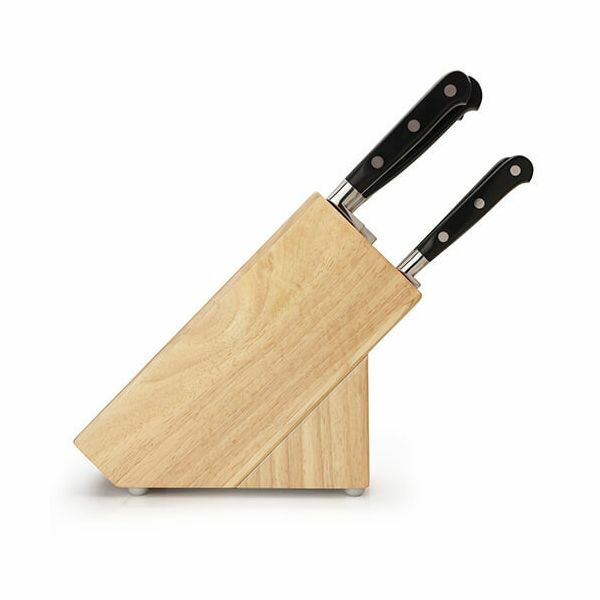 The knives are stored together in a rubberwood natural coloured sloping knife block for easy access and safe storage. Each of the knives has a full tang construction with a triple rivet design for strength and durability and dishwasher safe for easy and convenient cleaning. The Sabatier knife block set is the perfect choice for any kitchen and can handle all types of food preparation tasks and is complete with a 15 year guarantee. Dana tier is a fabulous brand I many of their products.